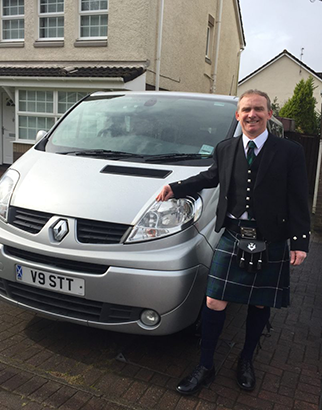 We are a family run Scottish tour company. At Scottish Terrier Tours we specialise in taking small private groups around Scotland, introducing you to the best scenery this country has to offer. So let us take the stress out of driving and sit back and enjoy the unique mountain views and landscapes. We specialise in bespoke itinerary planning making sure you get the best experience of Scotland including locations accommodation and restaurants. At Scottish Terrier Tours, we specialise in taking small private groups around Scotland, introducing you to the best scenery Scotland has to offer. We offer day trips and group tour packages from 1 day to multi day tours, ideal for families and groups of friends. – Drive for 40 minutes to Loch Lomond, visiting the lovely conservation village of Luss, walk along the bonnie banks of Loch Lomond with spectacular views of Ben Lomand. – After spending time in Luss, you will travel through the Argyll Forest, stopping at ‘The Rest and Be Thankful’ for a fabulous photo opportunity. – Travelling onto the town of Inveraray, on the banks of Loch Fyne for lunch at 17th Century George Hotel, afterwards walking around the town with your guide. 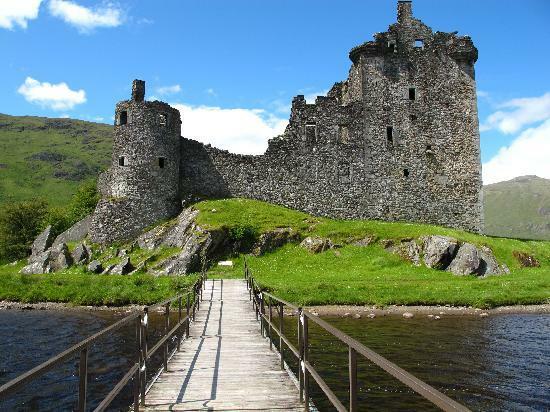 – Afterwards driving to 15th Century Kilchurn Castle, a fantastic ruined castle nestling on Loch Awe. – Then onwards to Oban, the Seafood Capital of The West Coast of Scotland, possible Whisky tour at Oban Distillery (£12.00 per person). – Overnight stay in Oban. Award winning seafood restaurant can be booked for your evening meal. – Travel through the beautiful scenic West Coast, stop off at Appin to visit Castle Stalker. – Afterwards 30 minute drive to the breath taking Glen Coe and The 3 Sisters mountain range. Optional 30 minute walk to The Hidden Glen with your guide. – Heading on to Inverlochy Castle which guards the Southern end of The Great Glen, driving through The Great Glen, passing the freshwater Loch Lochy. – Travelling onwards to Fort Augustus sitting at the bottom of Loch Ness, where you will marvel at the lock system of the Caledonian Canal, lunch will be available. 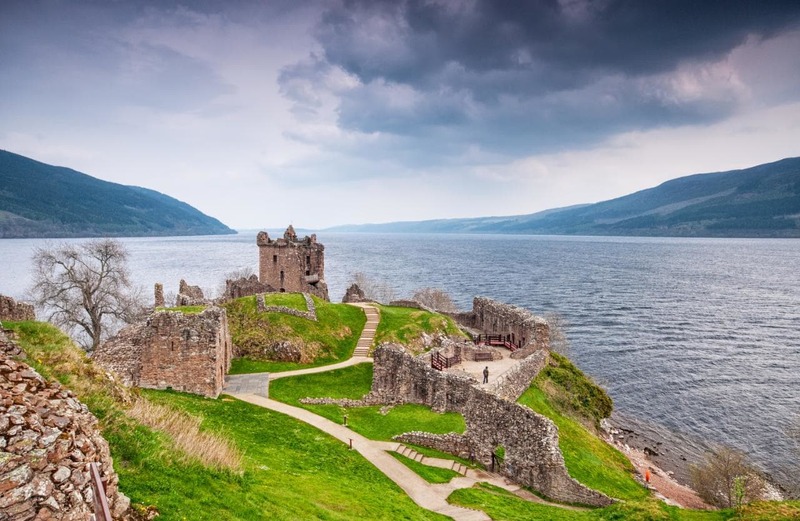 – Your tour will continue to Urquhart castle sitting proudly on Loch Ness, this is where the most sightings of the elusive Loch Ness Monster have taken place. – Overnight stay in Inverness. – Short drive to the atmospheric Culloden Battlefield, walk on the battlefield with your guide, soaking up all the history and tragedy of 1746 and Bonnie Prince Charlies Jacobite Uprising. – Afterwards a short drive to Clava Cairns, 4000 year old standing stones, a must see for Outlander fans. Driving through the spectacular mountain range of the Cairngorm National Park, driving by the Pass of Drumochter which is 1508 feet above sea level. – Travelling on to The House of Bruar for lunch and shopping opportunity before visiting the beautiful Falls of Bruar, a natural waterfall on the River Garry. 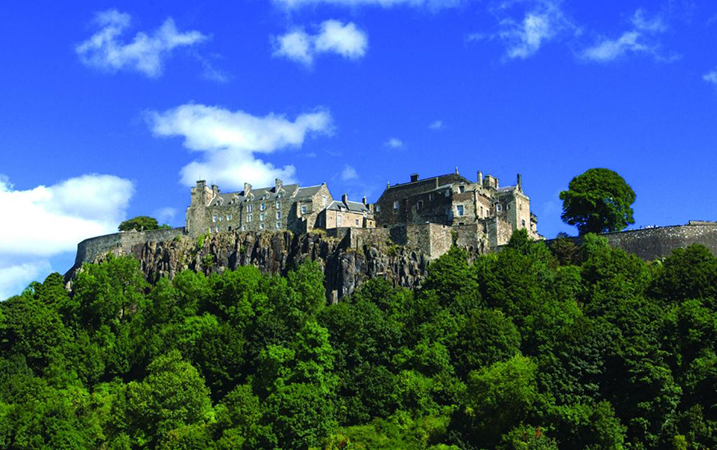 Your tour will spend the afternoon visiting one of Scotland’s most spectacular Royal castles, Stirling Castle, on arrival your guide will take you on a 1 hour guided tour, hearing about William Wallace, Mary Queen of Scots and Robert the Bruce. 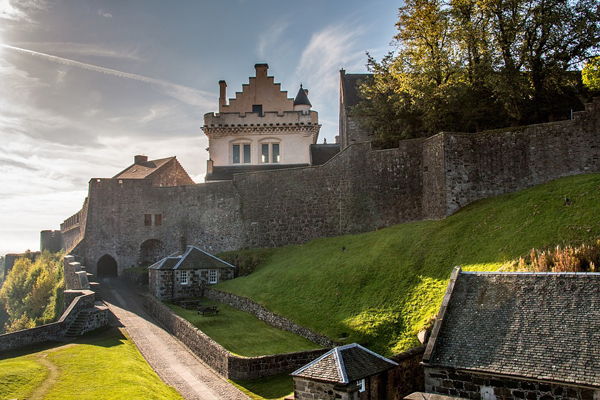 This includes hire of private vehicle, driver/guide, 2 nights accommodation (double or twin room), admission to Stirling Castle, bottled water light snacks and a dram of whisky. *Price does not include meals. *THIS TOUR CAN BE DONE AS A SELF DRIVE, PLEASE CONTACT US FOR DETAILS. Owner Graeme Robert Giles has spent the last three decades exploring and enjoying the unique Scottish landscape and the history of our magical coastline. We would love to share this knowledge with you during a tailored holidaying experience you will never forget. Graeme is married and in his early 50’s, and has spent the last 20 years working for the Strathclyde Police. He enjoys hillwalking, fishing, golf, and travelling..
Our special knowledge of Scotland means we can design your tour itinerary to meet all your needs and must-sees. I can’t thank you enough for making our day so wonderful and memorable! Definitely coming back with family! 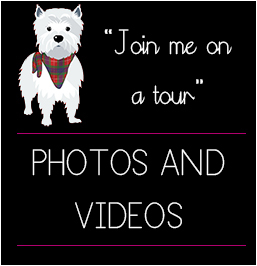 Co-Owner Tracy Stuart Giles will be your main point of contact, you will always receive a personal email from Tracy during your booking process with Scottish Terrier Tours. From the start of your tour, Tracy will be on hand to help with planning and advising on destinations, accommodation and visitor attractions. 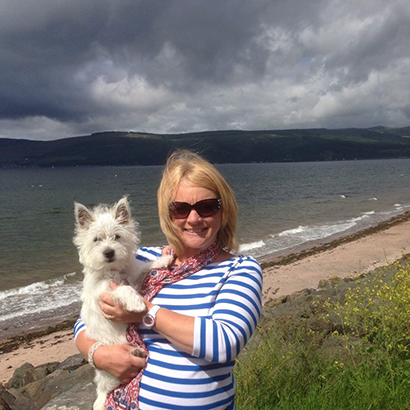 Tracy has been a nurse and midwife for over 30 years so you will be in safe hands! 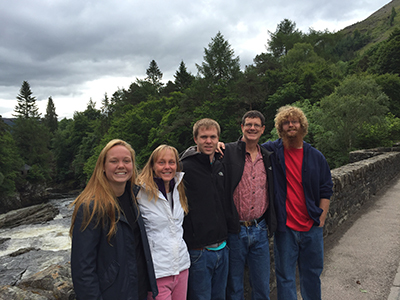 Had an amazing time in Scotland with Scottish Terrier Tours! Graeme was our tour guide and met us at 3 different ports as we disembarked from our Cruise Ship. Our days were filled with lots of beautiful sights and history and of course many laughs! Very relaxed and able to take our time enjoying the sights . I would highly recommend to anyone planning on visiting Scotland. It was a perfect way to enjoy such a beautiful country! 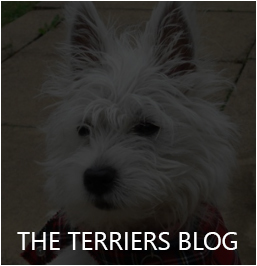 I will definitely travel to Scotland again and will use Scottish Terrier Tours! Our aim is to give you an unforgettable tour with that all important personal service that only small Bespoke tours such as ours can offer. If your passion is Golfing, Fishing or visiting Historic castles or places of interest, or perhaps tracing your ancestors, we can work alongside you to make your holiday wishes come true. Our Tour Guides have travelled the length and breadth of Scotland many times, and know the hidden gems off the beaten track that only this type of tour can offer. They have a vast knowledge of the coastline and history of this great nation. A: Price quoted includes hire of vehicle/guide, bottled water, light snacks and whisky and does not include entrance fees, meals, refreshments, and accommodation. Q: Is price quoted per person? A: No, the price quoted is for 1 – 8 passengers. Q: Where do you recommend going? 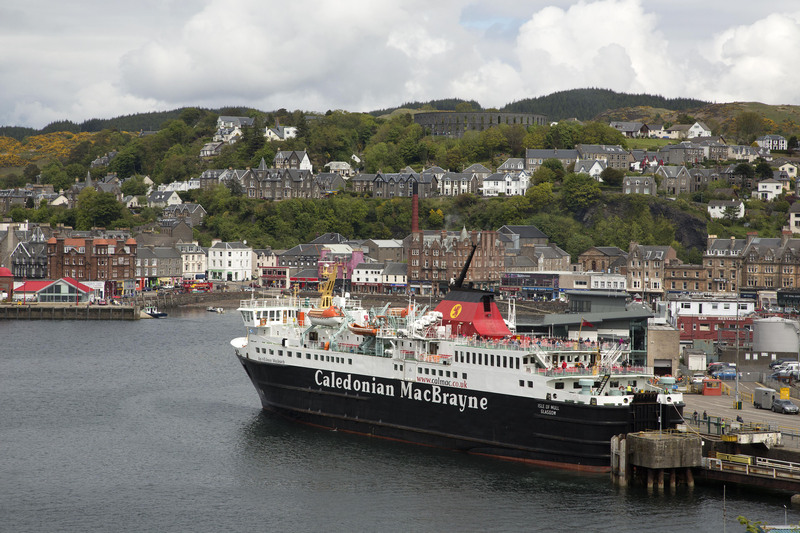 A: We recommend visiting Isle of Skye and Kyle of Lochalsh, St Andrews, Loch Ness. Q: Are your Tours child-friendly? A: Definitely! We provide car seats for all ages free of charge. Q: I have mobility issues, can you accommodate this? A: Yes! Graeme and Tracy are experienced in advising you the best places to visit in Scotland and the places to avoid if mobility is an issue. Q: Do your vehicles have enough space for a mobility walker or a pram/stroller? A: Yes, plenty of room. Q: Can you help me with sourcing accommodation? 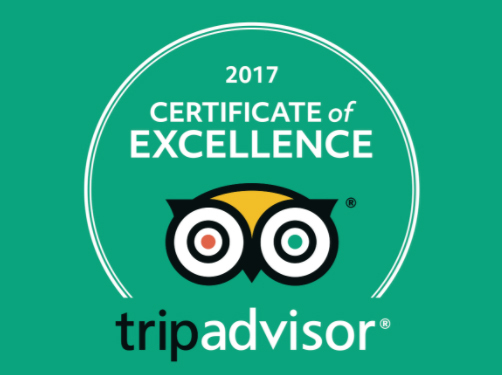 A: Yes, Graeme and Tracy can help source your accommodation and will advise on best places to stay and what’s best for comfort and value. Q: I’m not sure how to go about getting my tickets for castles. A: We can book these for you and have the tickets ready for you on your tour. Q: We love traditional local food and drink, can you help with this? A: Yes! We know lots of lovely wee pubs and restaurants and can advise you where to go for meals and refreshments. 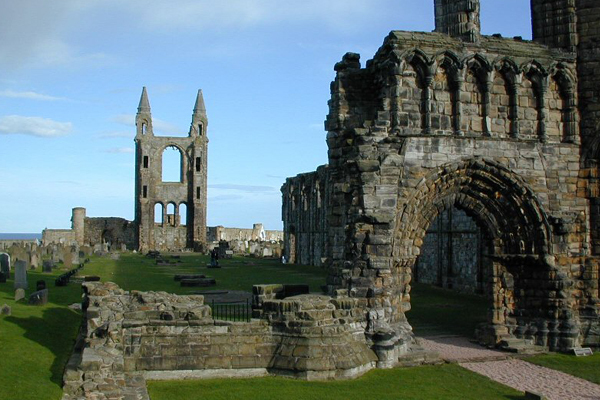 We have been offering tours of our beloved “Bonnie Scotland” for many years now and we have inside knowledge of which tours of castles in Scotland offer the best value and overall experience to remember! Here’s our list of must-see castles including some off the beaten track and Scottish ruins which very few people have visited. Graeme & Tracy’s Top 3 Championship Golf Courses & Golf Tours In Scotland + A “Wee Hidden Gem” & our own local golf club in Scotland. We love golf! 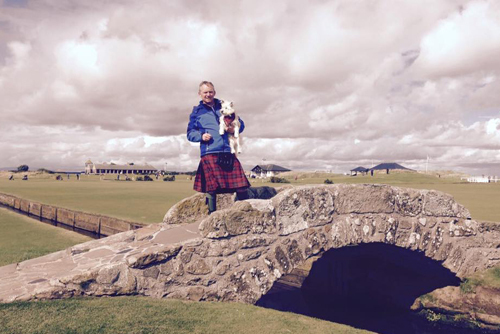 Graeme plays on a regular basis across Scotland and knows the top championship courses and also the “wee hidden gems” with stunning views of the Scottish coastlines on links courses or “see all” views from some golf courses with viewpoints on them. Graeme’s local course is Skermolie, North Ayrshire here’s a link to their website http://www.skelmorliegolf.co.uk/. 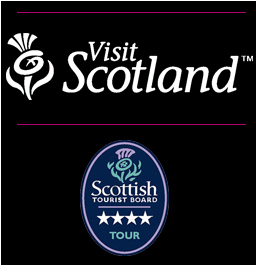 This provides Scottish Terrier Tours with a nice mix of knowledge of Scotland, Tours, Golf & Golf Courses and Golf Tours giving you a real authentic Scottish experience on any tours or trips you take with us. 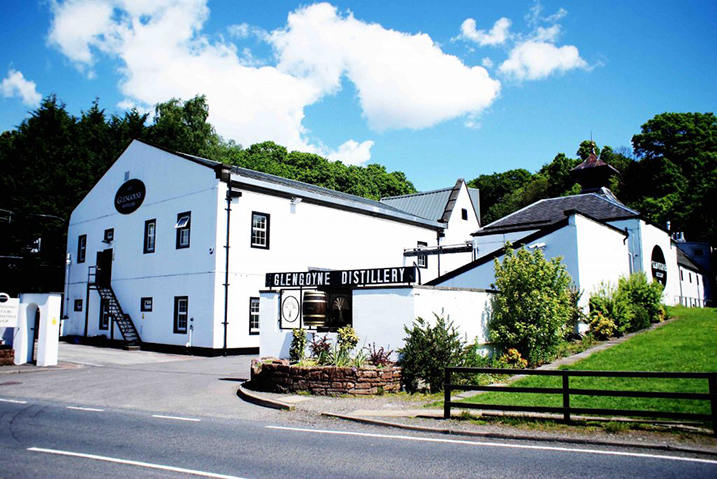 Drovers Inn Whisky Tour, Loch Lomond – Sealife, walks, boat rides, Charles Rennie MacKintosh & whisky safe to say this tour of this wonderful area from the hotel in Loch Lomond will fill your day with fun. Auchentoshan Whisky Tour, Clydebank, West Dunbartonshire – Try 4 of their triple distilled Single Malts, all have a unique taste ranging from 12 to 21 years. You can also take a tour of the Dalmuir based distillery owned by Morrison Bowmore Distillers. Glengoyne Whisky Tour, Dumgoyne, North Glasgow – Extremely unique and interesting tour perfect if you are looking for a tour from Glasgow, Glengoyne doesn’t use peat to treat their barley instead using warm air for a really unique taste which can only truly be experienced with a tour of their distillery. 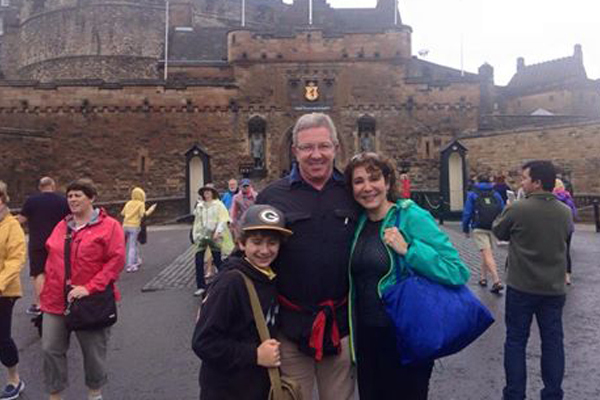 The Olsen family from Massachusetts, USA took a 6 day tour of Scotland with us from their accommodation in our capital city Edinburgh. They had a very personal experience during their time in the country and we fondly remember spending the week with them. Day 1 – The first day involved us picking the family up from their Edinburgh accommodation and driving the group out of the busy city over the famous Forth Road Bridge, with some beautiful views of the Firth of the Forth River with the Scottish sun bouncing off it. Graeme gave a detailed history of the iconic bridge and the interesting facts behind its construction. This was all en route to Dunkeld, travelling through the city of Perth to Dunkeld Cathedral, followed a drive through Pitlochry a very popular tourist spot due to its wonderful quaint atmosphere and surroundings. The group then travelled on to The Highland Folk Museum where the popular Outlander series was filmed, followed by Loch Ness for their first overnight stay. Outlander themed tours are extremely popular and we often include this into itineraries as well as offering it as a one day trip experience. Day 2 – Started with a walk from Drumnadrochit to Urquhart Castle, the family spent an hour exploring the ruined castle and admiring the views over Loch Ness. Next stop was the Loch Ness Visitors Centre offering the full “Loch Ness Monster tour” which includes a history of the report sightings. Then onto Inverness, the capital of The Scottish Highlands, stopping off for lunch at The Inverness Castle restaurant before heading to Culloden Battlefield. The group walked on the atmospheric battlefield with Graeme, who retold the events leading up to the last Jacobite uprising and last major battlefield on British soil. The group then headed off a short distance to visit The Clava Cairns, ancient burial tombs and standing stones. Day 3 – Graeme collected the group at 9 am to set off for Invermoriston Falls before heading to Fort Augustus we all spent some time at The Loch gate system, Graeme explained how the loch system worked and raised the water level from Loch Ness to The Caledonian Canal. We then set off to Lochgarry Viewpoint, you can see the view which resembles the map of Scotland from here which is truly a must see. The tour then had a short drive to The Clunie Inn for some lunch before heading for Eilean Donan Castle, where they spent time exploring the castle, the group particularly liked the letter from Bonnie Prince Charlie sent to The Macleod Clan asking for their support during the Jacobite Uprising of 1745. Towards the end of day 3 we then crossed the Skye Bridge and visited Kyleakin for a short walk around the harbour area, the final stop of the day was a fabulous viewpoint overlooking Loch Carron before the Olsen family were dropped off at their accommodation for the night in Plockton. Day 4 – Graeme collected Hilary, Jeff, Sam, Tom and Ellie from Plockton Haven to travel over the sea to the Isle of Skye, first visiting The Fairy Pools where Sam and Tom stripped off and jumped in (see video). After lunch in Uig was the Faerie Glen where everybody was brave and climbed on top of Castle Ewen then the group headed to the east side of the Isle of Skye to the fabulous Quiraing, luckily it was a clear day and they all loved the fantastic views over to the mainland. The tour continued on to the main town on the island, Portree, driving past The Old Man of Storr, arriving at Portree they accompanied Graeme for a walking tour of the town including the harbour where he pointed out the fishing fleet. Graeme, Sam and Tom then went to a local pub where Sam and Tom enjoyed a wee single Isle of Jura Malt. After a busy day on the Isle of Skye, they all returned to their accommodation in Plockton. Day 5 – The tour commenced by getting the ferry from Armadale, the Isle of Skye to Mallaig on the mainland, on arrival at Mallaig the group had a short walk around the village then we drove onwards to the Sands of Morar. 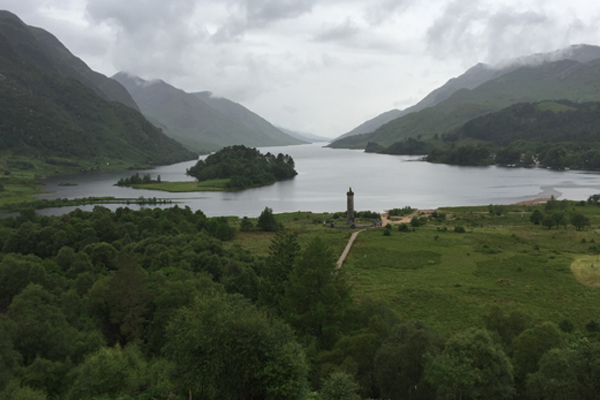 The group then travelled a beautiful scenic drive to the Glenfinnan Viaduct, they all climbed up behind the visitor’s centre to admire the outstanding views and marvel at the viaduct, made famous in the Harry Potter films. This vantage point also offers fabulous views of Bonnie Prince Charlie’s monument to commemorate the start of The Jacobite Uprising in 1745. We offer a bespoke tour of The Jacobite Steam Train which you can find details of here. Next stop was Inverlochy Castle for a short visit before stopping in nearby Fort William where we all stopped at The Ben Nevis for lunch. After lunch onto Glencoe, stopping at The Three Sisters, three mountains halfway up the glen. The family then set off for a short hike up one of the mountains. On their return the tour followed the coastal route to Oban, passing Stalkers Castle, for their last overnight stay in Scotland. Day 6 (final day) – we all stopped at St Conan’s Kirk at Loch Awe, then visited Kilchurn Castle, which was a particular favourite of Jeff’s, perched on the banks of Loch Awe, this a hidden gem! The Falls of Falloch, a spectacular waterfall in the Loch Lomond area, true to form Sam stripped off and jumped 25 feet into the pools below the Falls of Falloch. The tour then stopped off for some well-deserved lunch at The Drovers Inn. The group then travelled over to Kilmahog and had a close encounter with some “Highland Coos” who munched a full bag of carrots! A quick stop at Stirling Castle and Bannockburn for a walk on the battlefield then the final stop of a fun filled busy day was The Kelpies at Falkirk before they all said their tearful goodbyes to Graeme arriving at Edinburgh Airport with ample time before their flight home. 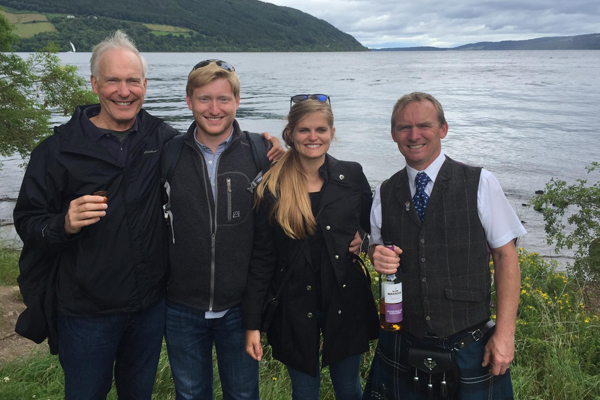 Click here to find more information on the whole tour itinerary of the Olsen family’s 6 days tour of Scotland from Edinburgh. Dive into the depths of Scotland with the people who have Scotland at heart. 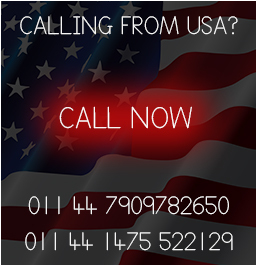 We love our country and our mission is to give you the best experience. 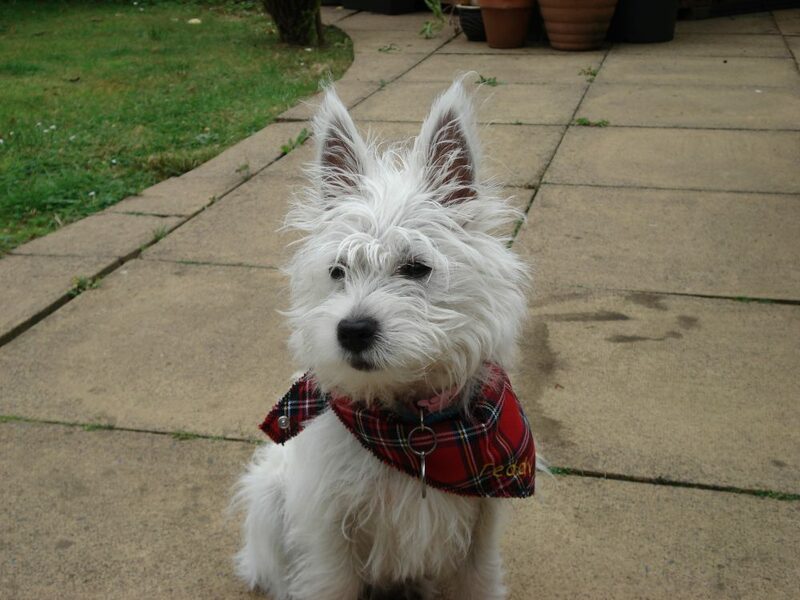 Nothing will satisfy Scottish Terrier Tours as much as you returning to your homeland with Scotland at heart as well. Make that dream come true by contacting us today. You can use the form below to contact us directly or give us a call.